I have to admit to you, I kind of have a hidden addiction. I know we all have something we are addicted to and today I am going to share with you mine. You ready? It’s M&M’s. Oh boy do I love M&M’s. When I was in 6th grade I used to buy a bag everyday. I think I got the addiction because my Mom always carried a bag of Peanut M&M’s in her purse. When the moment was right, she would rip open the bag and share them with me. Still to this day I love them. Matter of fact, I love Dark Chocolate Peanut M&M’s. Have you tried them? You should, they are so good. 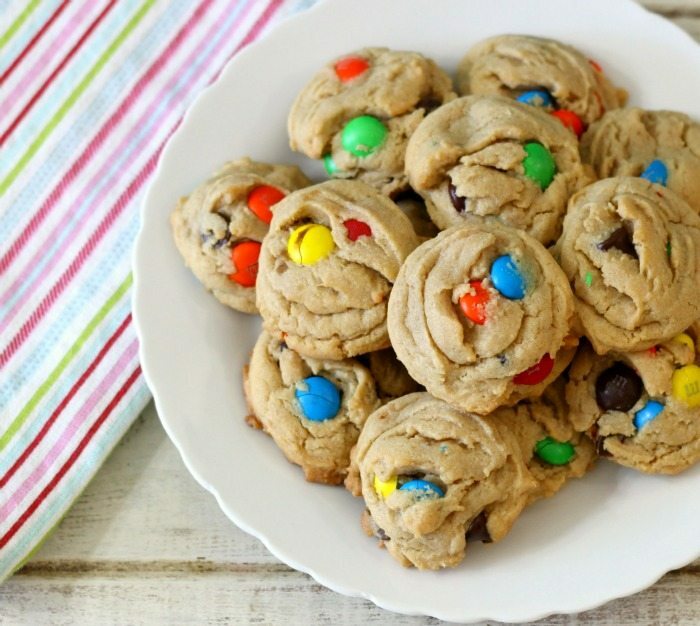 So with my addiction, I combined my beloved M&M’s with Peanut Butter. Oh yeah, now were talking. 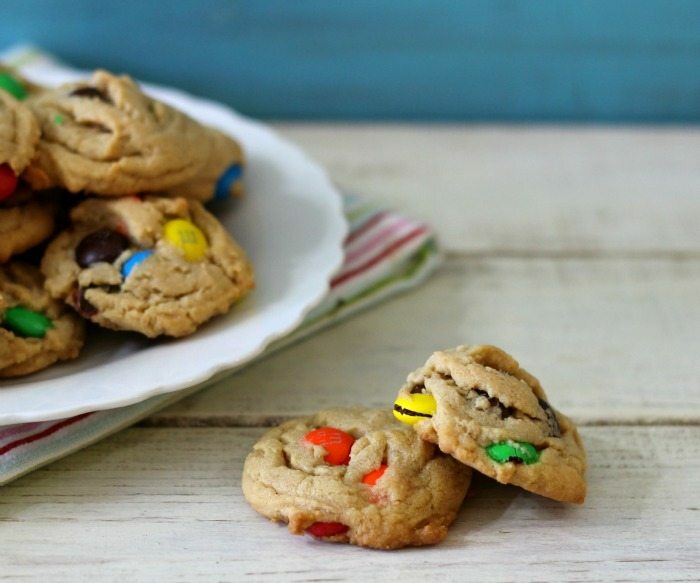 Today’s recipe is Peanut Butter M&M’s Cookies. 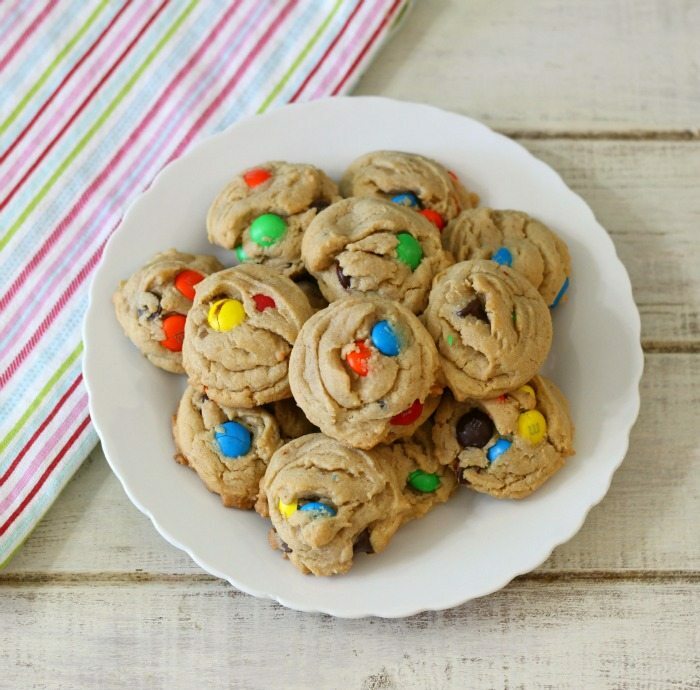 Chunky, peanut butter cookies, chock full of M&M's. Only 79 calories a cookies. In a large bowl add sugar, brown sugar, peanut butter, shortening, butter, vanilla, maple syrup and eggs; beat until combined. Lightly beat in flour mixture until combined. Stir in M&M's Baking Bits. Scoop 1 tsp. batter and place about 3 inches apart on cookie sheet. Bake in oven for 7 - 9 minutes until lightly golden. Let the cookies rest on baking sheet for 5 minutes, then place on a cooling rack. Note: These cookies taste best under baked. I found 8 minutes to be perfect, however my oven cooks fast. You want them just slightly golden on the bottom. You can roll into a ball and make a crisscross pattern with a fork dipped in sugar if desired. 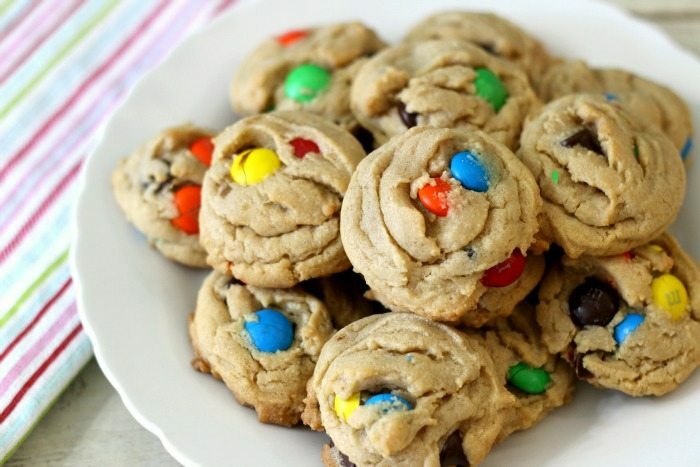 M&M cookies are my favorite!! I just love how you added peanut butter too, yum!